Can I Use My Healthcare Administration Degree in a Hospital Outside the U.S.? The healthcare industry has always been one of the best places for new students to find a rewarding career, and this is why millions of Americans are working on their healthcare administration degree or have recently completed their schooling. After receiving a diploma, however, recent graduates may be unsure of where to begin their search for a new job, including those that may be available overseas. This is why all healthcare administration students and graduates should take a close look at where they can find jobs internationally and how to become an appealing potential employee. According to Monster, one of the largest job directories in the world, some of the most common questions involve career paths for healthcare administration students. While undergoing schooling, students are taught a plethora of skills, and this gives them quite a bit of freedom when it comes to choosing a new job. For most, the first place to look is within any number of departments in a local hospital or clinic, but this is only the tip of the iceberg. According to most specialists in this field, there are generally considered to be four primary areas that a healthcare administrator will consider. This includes healthcare providers, healthcare suppliers, health insurance organizations, and health policy organizations. Luckily, all of these fields are found in countries throughout the world, and this means that traveling to a different country with a U.S. 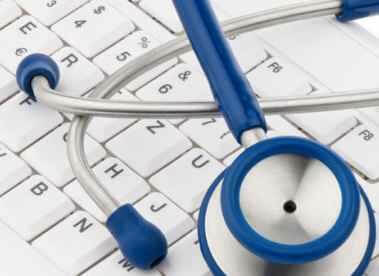 Degree in Healthcare Administration is a possibility. While many degrees from the United States are recognized in other countries, each location and company will have its own laws. When a student becomes interested in a role in a different country, it is important to do as much research as possible before ever applying for the job. Many international companies will require additional schooling, or at least a certification program in order to work within their country. For some of the most popular companies, this additional training may be done on the job and some employees may even get paid during this training period. While companies may not require it, a student's application could be dramatically more appealing if they have taken courses while studying abroad or even cultural awareness classes in the preferred country. Students should also place emphasis their language skills for that particular country and region. What many students tend to overlook is the ability to work in a separate country for an American-based business. As the U.S. continues to bolster its defenses against natural disasters, those trained in these fields and well-established companies are in high demand throughout the rest of the world. Through these companies, Students will often find that they can fulfill their desire to travel worldwide without the need for additional schooling. The process of finding an international job with an American Degree in Healthcare Administration does not need to be difficult, but forward planning is a must. With a little extra foresight, students will find themselves with a number of amazing new options no matter which specialized field they choose.